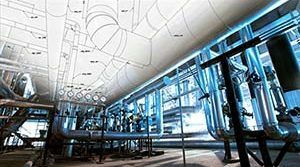 Cryogenic Pipe Supports for a LNG Plant in Algeria | Piping Technology & Products, Inc. 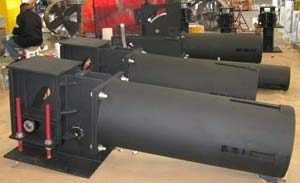 The pictures above show cryogenic pipe supports designed by a Houston E&C firm for a LNG plant in Algeria. 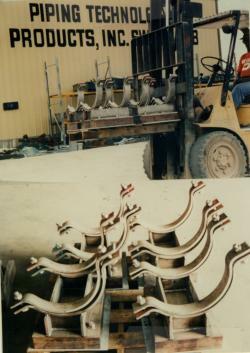 Piping Technology & Products, Inc. fabricated the these supports for a 14” pipe which operates below –50oF. Three different materials are used. The upper part which bolts to the pipe is fabricated from an alloy which retains its strength at low temperatures. The middle section is a Permali® block selected because of its strength and durability and because it is a poor conductor of heat. The bottom plate of galvanized carbon steel is bolted to the Permali® block. Permali® is a phenolic laminate made from layers of wood impregnated under vacuum with a synthetic resin. A crossed orientation of the hard wood fibers is used to provide extra strength. Are you in need of some cryogenic pipe supports? Let us price it for you today!